Do you need an interesting, educational and entertaining talk or presentation for your meeting or event? David K. Joyce has a number of presentations about various locations or minerals that feature specimen mineralogy, history, collecting trips or other interesting aspects of mineral collecting. What is required to have David K. Joyce speak at your meeting or function? An agreed upon date. Contact me, asap since I tend to have a full schedule. The sooner we can agree upon a date, the better! A suitable topic. Check out the list of topics below and see if any of them would be of interest to your group. Expenses. I’d appreciate it if you can defray my costs of travel to, at, and from your event/meeting. We can figure out an estimate of cost before we commit. Honorarium. It would be nice if you could offer an honorarium for my efforts. After all, I do take a period of time from home and my business to spend with you! Please contact me at dkjoyce@bellnet.ca to discuss your needs? It is best to contact me by e-mail since I am often away and don’t have access to telephone messaging. 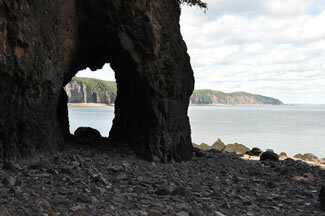 The Bay of Fundy, Nova Scotia, Canada is one of the premier mineral collecting sites of the world. It is possible to visit various localities around the Bay of Fundy and find mineral specimens, sometimes excellent and museum quality pieces! 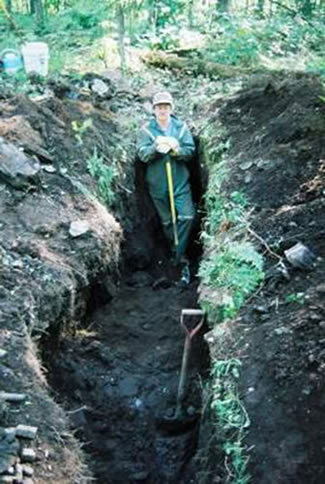 This presentation focuses on the geology, mineralogy, collecting techniques at various prolific, scenic and interesting localities on the Bay of Fundy. The calcite vein-dykes afford some of the best collecting opportunities in Southern Ontario, South-Eastern Quebec and parts of New York State. While the origin of these interesting intrusive in not well understood, nobody can deny that they have produced awesome mineral specimens of apatite, zircon, titanite, uraninite, ilmenite, magnetite and very large crystals of pyroxene and amphibole group minerals. This presentation will relate the scientific information about these geological enigmas, how to collect them and examples of their mineralogy, featuring many photographs of great specimens! 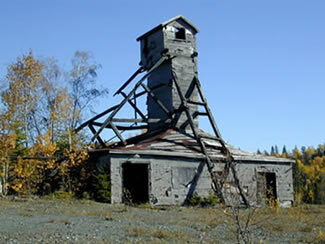 The Cobalt Silver Mining Camp was one of the most prolific silver mining areas of the world. For three quarters of a century, this camp produced over 600million ounces of silver! It was, in fact, the birthplace of Canadian hard rock mining and spawned the prospectors, miners, entrepreneurs and companies that transformed Canada into a world powerhouse of mining technological, operational and financial know-how. Most importantly, to mineral collectors, the richness and unusual elemental assemblage of the ores at Cobalt resulted in the formation of unusual minerals. Excellent examples of these minerals have been collected over the past century and can still be recovered today in the Cobalt Area. This talk will feature the history of Cobalt, genesis and characteristics of the silver veins, as well as collecting techniques in the area. Of course, many photo’s of spectacular mineral specimens, many, seldom seen, from the ROM, will be shown. 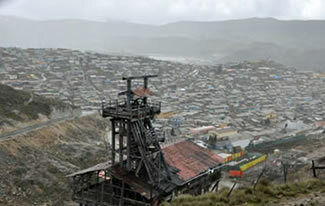 The Quiruvuilca Mine has long been a source of fine mineral specimens such as enargite, pyrite, quartz, hutchinsonite and orpiment. I was very fortunate to have the opportunity to visit the mine and for several days collect in the underground workings, purchase specimens and learn about this unusual mine and the surrounding area. This presentation documents the trip to and from Quiruvilca, geology and genesis of the deposits, collecting experiences and lots of unusual and beautiful scenery. I had the opportunity to participate in the 2012 mindat.org conference in Marakech, Morocco, as a speaker. 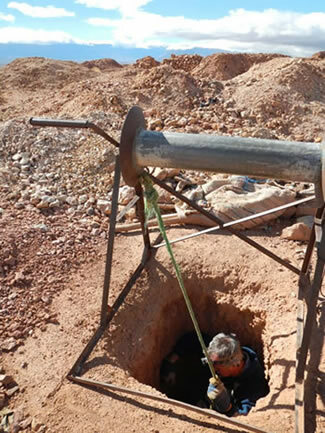 I participated in the mineral collecting trips before and after the conference and, as a result, was able to visit and collect at many classic Moroccan localities. It was great! Mibladen, Bou Azer, Sidi Ayed, Aouli, Sidi Rahal, etc. We had many adventures and activities in the two weeks that we were in Morocco. This presentation shows great scenic photo’s of our travels, the people we met, various localities and the minerals that we saw and collected. 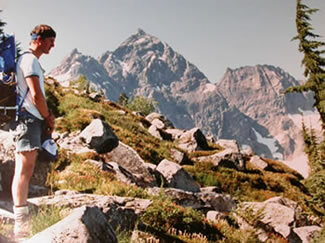 I visited Foley Peak four times over 20 some-odd years to collect quartz, in particular, world-class quartz crystals twinned on the Japan Law. It is an interesting locality, located at elevation, amongst ice fields of the Cascade chain of mountains. This talk details the various trips, the trials and tribulations, collecting techniques, fantastic scenery and lots of pictures of great mineral specimens. It also shows the changes to the ice fields over that time period which some people will find very interesting! There are some very good localities in Canada where native copper crystals can be or have been collected. Mamainse Point, Ontario, Cape D’Or, Nova Scotia, Kamloops, BC, etc. This presentation outlines a number of these locations, including collecting methods, scenic photo’s and lots of photo’s of nice copper specimens. As a bonus, a quick visit to the Keweenaw Peninsula will be shown and, particularly, photos of great copper specimens at the A.E.Seaman Museum, Houghton, will be shown. 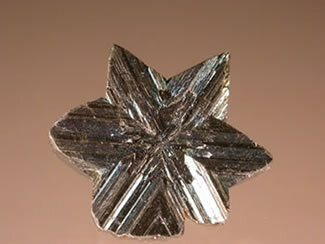 Cubanite is my favourite mineral. As it turns out, I have well-crystallized cubanite from eight different localities in Canada. Who knew?! This presentation reviews the chemistry, crystallography and physical properties of cubanite and then has a cameo of each of the Canadian localities for cubanite, with lots of excellent photos. The Engineer Mine was discovered during the heydays of the Klondike gold rush when railway company engineers were searching for an appropriate route to build the Yukon and White Pass Railway. The early history of the mine and the area is very interesting and the scenery is out of this world! I was very fortunate to spend a week at the mine collecting mineral specimens, particularly electrum, stibarsen, calcite and quartz. I worked alongside exploration geologists and miners as they pumped water out of the mine, explored and sampled mine levels that had not been worked since 1928! 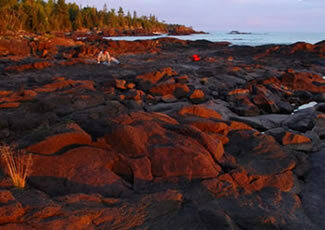 Lots of interesting history, scenic photo’s as well as camp-life and mineral specimen photos. The history of the development of Canada is closely linked to the prospecting for and development of nines, across the country. Ove the past century, many characters have traipsed further and further from the urban centres to search for metals, particularly gold. This presentation outlines the chronological development of mines across the country, the modes of transport used to access them, the characters involved and, of course, lots of photo’s of gold specimens! 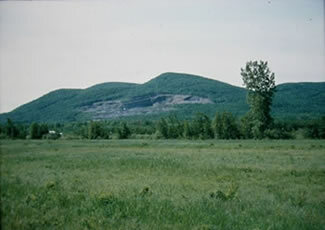 Mont Saint Hilaire is one of the most famous mineralogical environments in the world. It is an alkaline intrusive rich in beryllium, zirconium, titanium and rare earth elements. 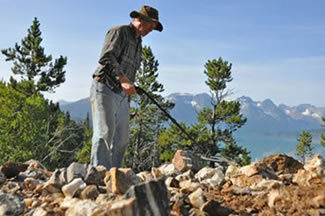 For decades, the owners generously allowed mineral collectors to visit the site to recover interesting and rare minerals. 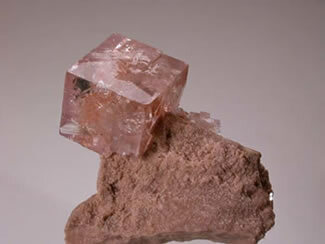 As a result of cooperation between amateur and professional mineralogists, to date, over 420 different minerals have been found at Mont Saint-Hilaire, 58 of which are new to science. This presentation explores the history of this storied locality, the geology and mineralogical environments, the people involved with collecting and presents many photographs of mineral specimens, particularly those from the collection of Gilles Haineault. For many years during the 1990s and 2000s, the Red Lake Mine, located at Balmertown, Ontario, was the richest Gold Mine in the world and continues to be one of the largest and richest underground mines in the world. 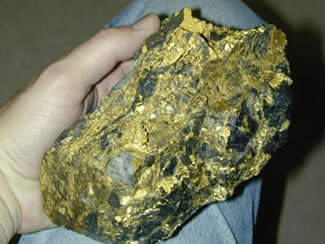 I had a contract with Goldcorp Inc., for many years, to collect, prepare, market and sell high grade gold specimens to collectors, investors, museums, universities, etc., and so became very familiar with this mine. Before Goldcorp Inc. found the “High Grade Zone”, the mine was known as the Arthur White Mine and had operated for decades as a modest producer of the yellow metal. 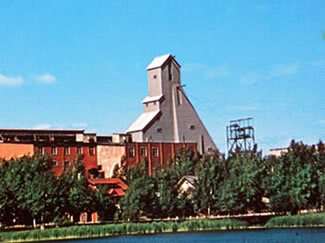 Since the discovery of the High Grade Zone, the mine was re-named “The Red Lake Mine” and was modernized to become the envy of the gold mining world. This presentation outlines details of the mine, a smattering of geology, operations and lots of photos of gold specimens!